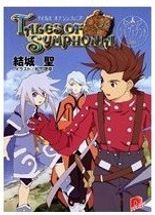 Kingetsu Ryunosuke: Handled the series composition for the OVA. He also wrote the Scenario for the ToP OVA (which is wildly inconsistent with the game in terms of worldbuilding, but that’s another essay). 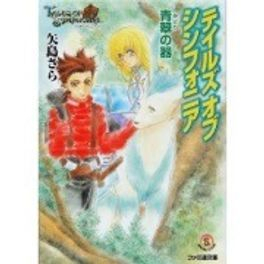 He’s been involved with the Tales series for a long time, usually in writing side materials. He has been involved with writing Novels and/or Audio Dramas for Phantasia, Eternia, Destiny, Rebirth, Tempest, Innocence, and Abyss. Published 2003-2004. 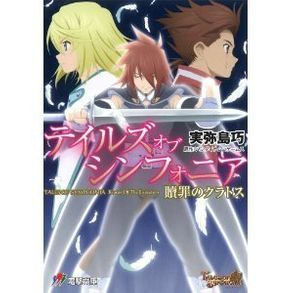 A Novelized version of the game authored by Yuuki Shou and illustrated by Matsutake Tokuyuki, who also did the directing and the character designs for the animated parts of the game. There are some scans of the artwork here. …Another, novelized retelling of the game. Published 2003-2004, this one is authored by Yajima Sara. The last one with Colette and Lloyd on the cover is post game. I’m pretty sure these pictures came from this novel series.